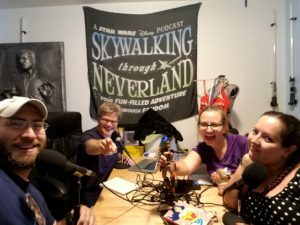 Having discussed the first two seasons of Star Wars Clone Wars on the Skywalking Through Neverland podcast, our discussion of the third and final season of the show was recently published. On the most recent episode of Skywalking Through Neverland, I had the pleasure of joining Nitzan Harel and the two hosts of the show, Richard & Sarah Woloski, in discussing the third season of Star Wars Clone Wars. Previously, we had discussed season one as well as season two, with two of us having seen the series before and the other two having watched it only for the first time. The discussion on the podcast lasts less than three-quarters of an hour, beginning at 47:21 and continuing until 1:28:59 (which is also embedded below). If you need some refreshing on the third season, here is my rundown on it.